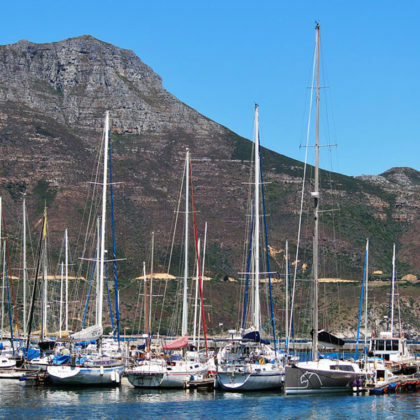 Spend the day relaxing and exploring the picturesque Hout Bay harbour. 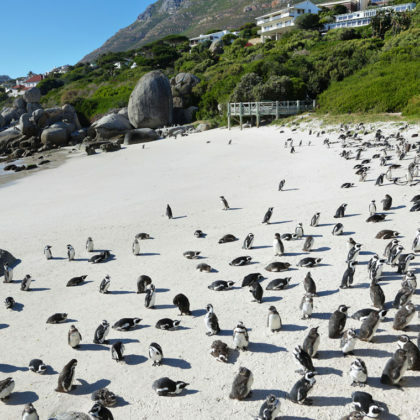 Perhaps travel further afield and see some of Cape Town’s attractions by catching the hop-on hop-off bus to Kirstenbosch or the Victoria and Alfred Museum. 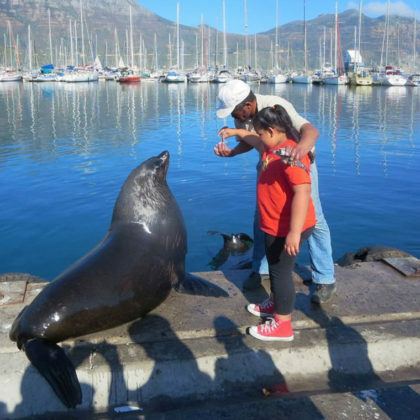 Experience a Cape Town township in a safe and informative way. 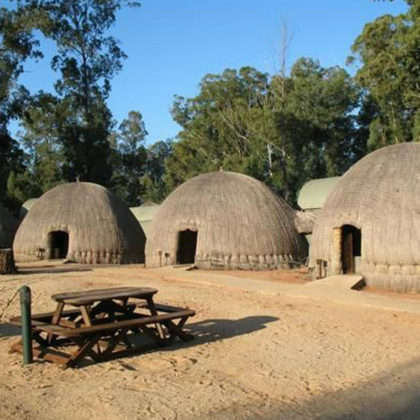 You will be shown some of the oldest Cape Town townships in South Africa like Guguletu and Langa. Visit a local children’s home and enjoy a drink at one of the township shabeens. The tour can be booked for any day of the week but on a Sunday morning you are given the additional opportunity to visit a Roman Catholic Church, in a Cape Town township, where you can enjoy a vibrant and lively service. 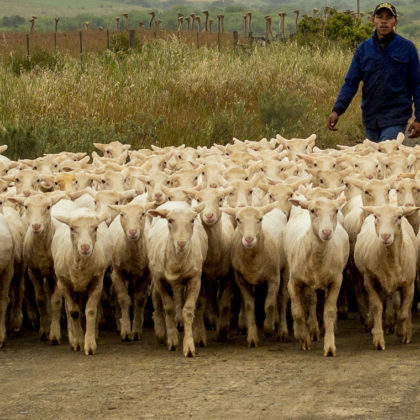 Travel to Skeiding, a working ostrich, sheep, Nguni cattle, wheat and canola farm between Cape Town and Knysna where you can experience South Africa’s warm hospitality and learn about country life. 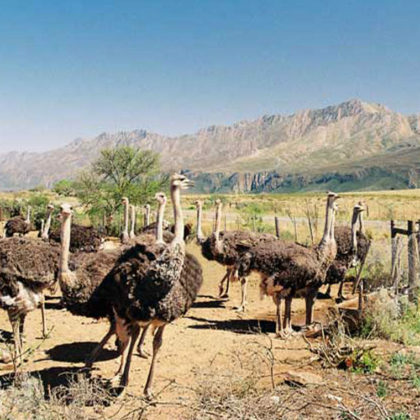 You will travel to the town of Oudshoorn, which is famous as the Ostrich centre of South Africa. Here you can visit a working ostrich farm and learn about these prehistoric birds. 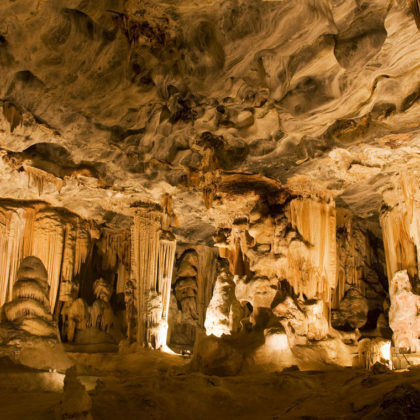 Visit one of the most impressive cave systems in Africa – the Cango Caves. Today you will travel to the picturesque coastal town of Knysna which is famoud for its oysters which are harvested out of the lagoon. 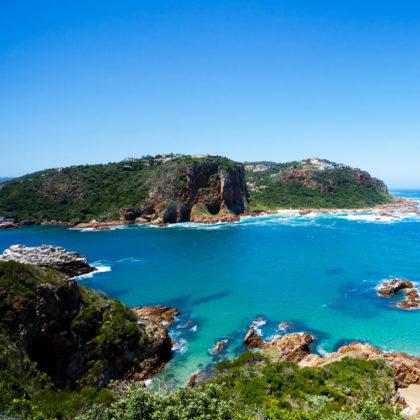 Spend the day exploring the region around Knysna which offers many outdoor hiking trails, go on a cruise in the tranquil lagoon, explore the Knysna Heads, Garden of Eden or discover culinary delights at the Wild Oats Community Market. Continue your journey to the vicinity of Addo National Park which is famous for its many elephants.Near Addo you will stay on a peaceful working farm to enjoy a slice of South African country life. Today you can visit the Addo Elephant National Park and see many of these gentle giants. 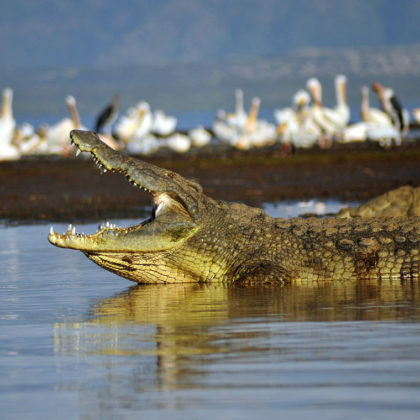 The park can exclusively claim to be the only national park in the world to conserve the “Big 7” – the Big 5 as well as the southern right whale and great white shark off the Algoa Bay coast. 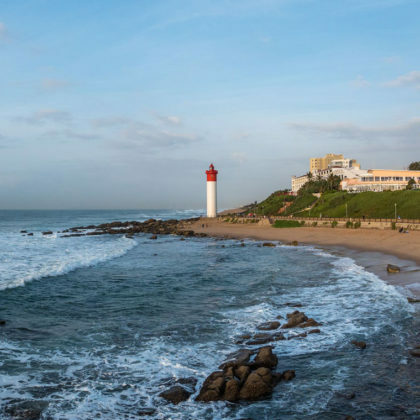 Leaving the beautiful Garden Route behind, you will catch a flight from Port Elizabeth to Durban. 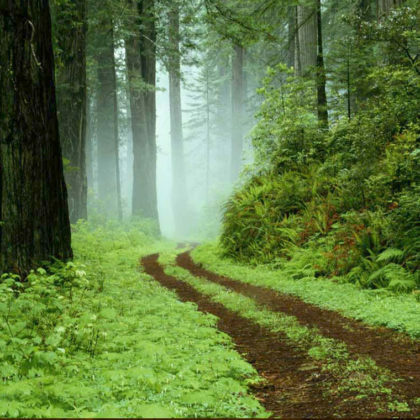 Here you will collect another rental vehicle and drive up the dolphin coast to Umhalnga. Spend the day relaxing on the warm beach and taking a dip in the warm waters of the Indian Ocean. There are many great restaurants and lots to do in this resort town. 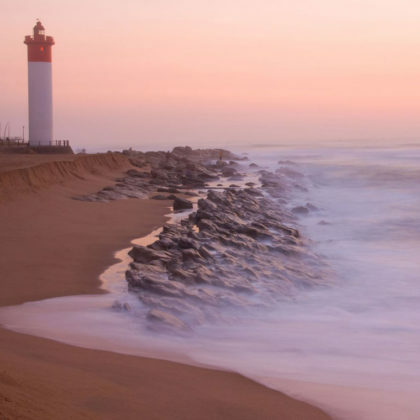 Travel to the picturesque town of St. Lucia, Gateway to iSimangaliso Wetland Park bestowed with UNESCO World Heritage status in 1999. This amazing safari and holiday destination of exceptional beauty combines the best of both land and marine nature environments. Set out to explore the Isimangaliso Wetland Park. 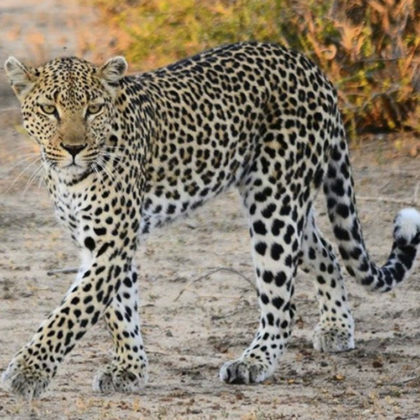 Late afternoon or early Game drives are very popular, and remember to turn off at the different loop-roads in search of the wild animals ( except lions) , regular Leopard sightings are reported as well as wild dogs and hyenas. 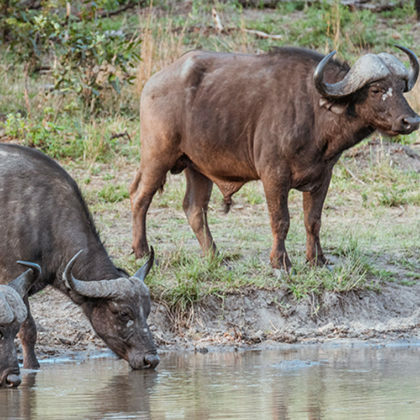 Seek out the Big Five (lion, leopard, rhino, elephant and buffalo) in the Hluhluwe National Park or visit the nearby butterfly house. There are several hiking trails, boat cruises and other adventure activities on offer! Today, you will travel to the small African Kingdom of Swaziland. 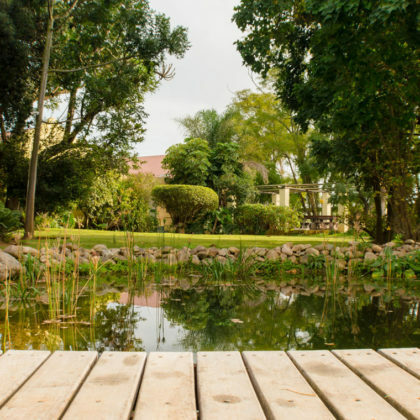 You will stay at the oldest and most visited Swazi park, Mlilwane is situated within easy reach of the popular Ezulwini and Malkerns tourism hubs. Allow your senses to take in the refreshing surroundings on horseback, mountain bikes, open Land Rover tours and foot trails. 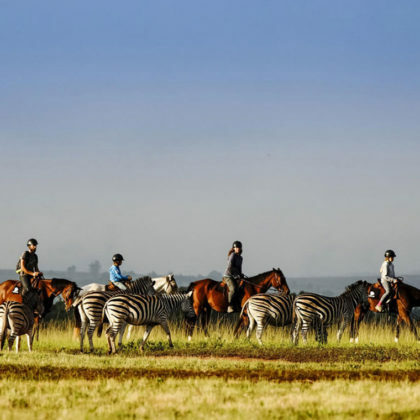 For the more adventurous, our overnight horse trails offer a fantastic outdoor riding experience on beautiful Arabian ponies, through the Sanctuary and into the mountains with breath-taking panoramic view of the “Valley of Heaven” known as Ezulwini. 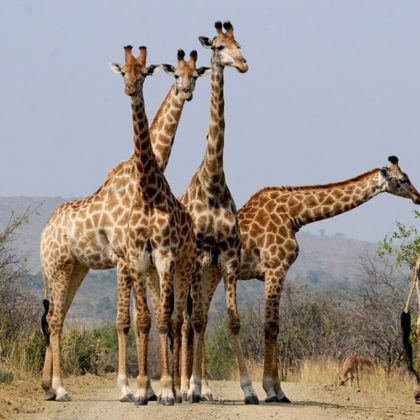 Travel to the town of Hazyview on the edge of the renowned Kruger National Park. 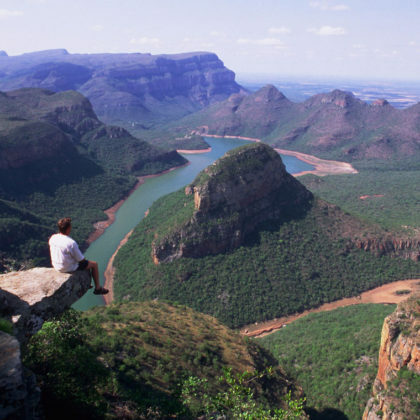 Today we suggest that you explore the dramatic scenery of God’s Window, Bourke’s Luck Potholes, Pilgrims Rest and the many waterfalls that can be found in the area. 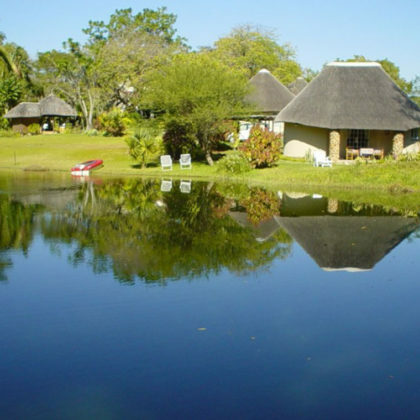 You will travel to a lodge situated in the private Klaserie Game Reserve. excellent possibility of coming face to face with the Big 5 (lion, leopard, buffalo, elephant and rhino) and numerous other mammals and bird species in their natural habitat. 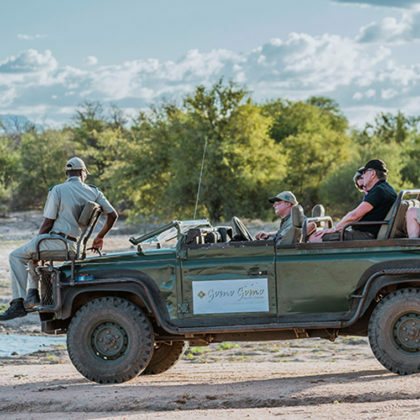 Early morning, late afternoon and evening game drives are conducted in open 4×4 Land Rovers with qualified and experienced field rangers and trackers. 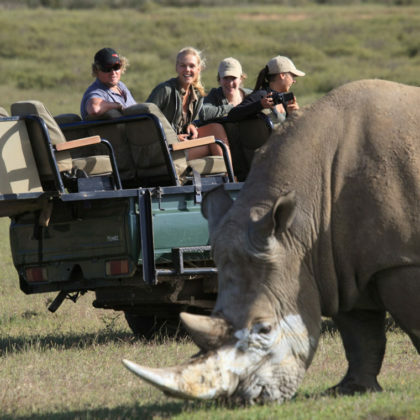 An optional guided bush walk will open up the fascinating world of some of South Africa’s intricate ecosystems with its varied fauna and flora. During the day guests can relax on the patio in the shade of a century-old Weeping Boer Been tree or cool down in the swimming pool. At night the camp is transformed into an African wonderland with kerosene flares, creating a true safari ambience. 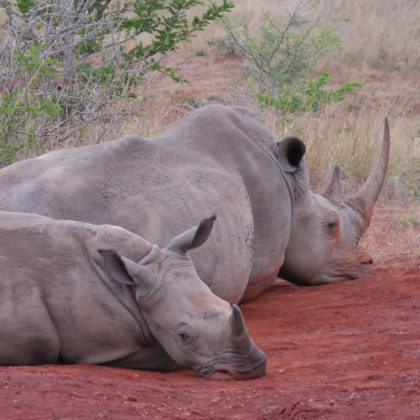 This morning there may be time for one last game drive before you are driven to the airport to catch your return flight back home.